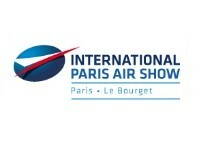 The International Paris Air Show is an international aviation and aerospace exhibition, which is organized every two years by the SIAE, a subsidiary of GIFAS, the French Aerospace Industries Association. It is one of the oldest and largest air shows in the world. Here the newest technologies of the aerospace industry and related equipment, such as aircraft engines, satellite navigation technology, aircraft cabins and seats and weapons systems will be presented. Over the years this show has become one of the most important international platforms in the industry. The first days of the fair are reserved exclusively for trade visitors, at the weekend the event will open its doors for the general public. About 150 aircrafts are presented. Many of them show their skills during the daily flying demonstrations in the afternoon which gives exhibitors the opportunity to demonstrate their technical expertise to the public. The exhibition is accompanied by a B2B meeting program where the exchange of knowledge and experiences in combiation with the search for solutions in the aerospace sector is in the foreground.